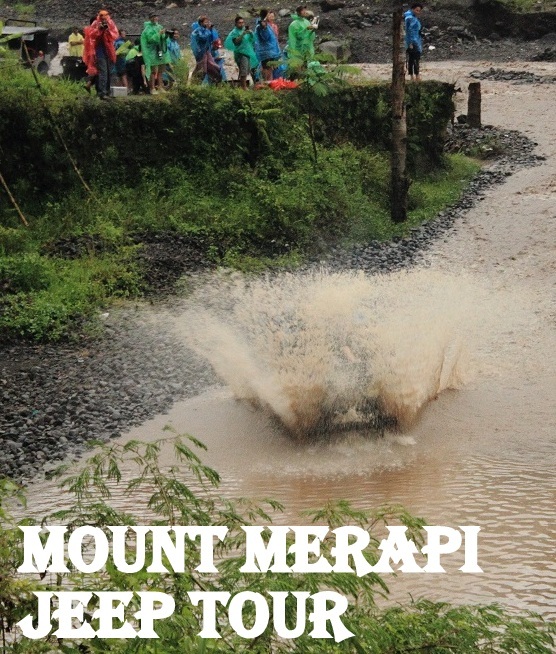 Mount Merapi is an active volcano near Yogyakarta in Indonesia. 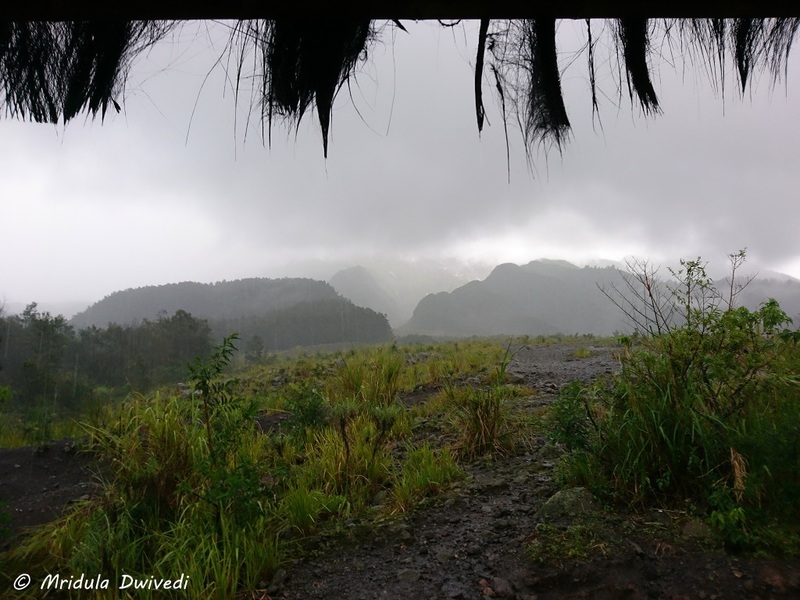 I did a Mount Merapi Jeep Tour with Kali Kuning Jeep Bashing but it was a rainy day. Our start point was Desa Pentingsari. We got into open jeeps and headed out in the afternoon after lunch. Early on, the sky turned black and it was threatening to rain. My first thought was about camera and cell phone, both don’t mix well with water! I had a rain coat and I planned to use it to cover the camera and cell phone. I can afford to get wet. 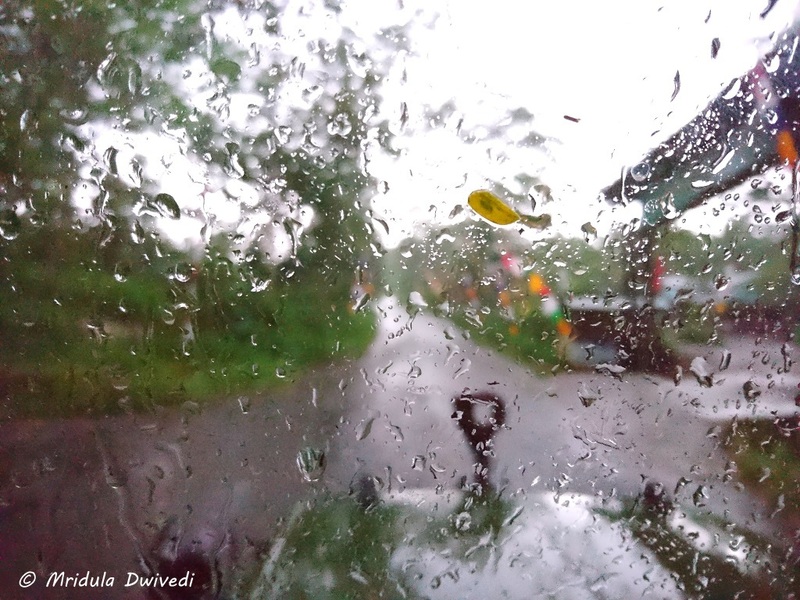 But as soon as the first drops fell our driver offered to pull up the covers of the jeep! Our first stop was the Mount Merapi Museum. It is a small place, a house actually. But the charred displays immediately got me out of my stupor. I stood bolt upright. My proximity to an active volcano dawned on me with force. Mount Merapi last erupted in 2014! 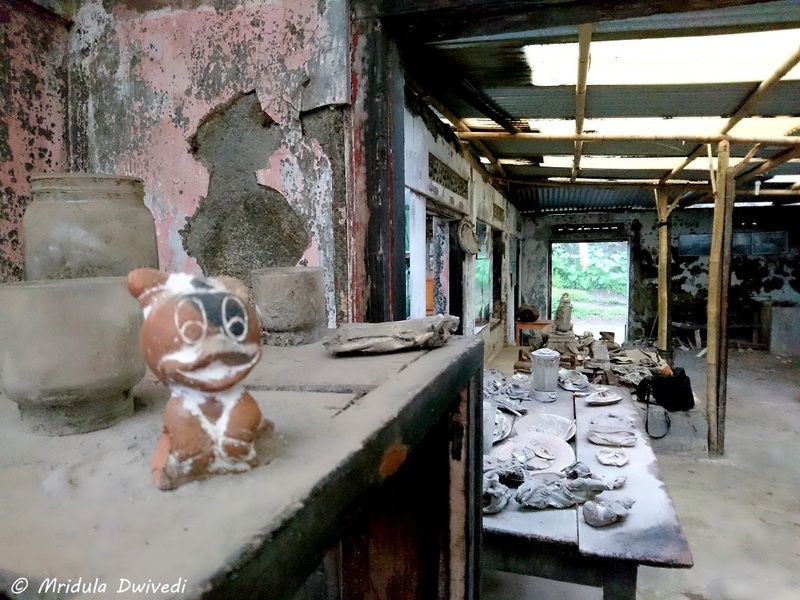 The museum houses the remains of daily life after they were caught in the path of Mount Merapi’s lava flow! It was raining hard outside by now. 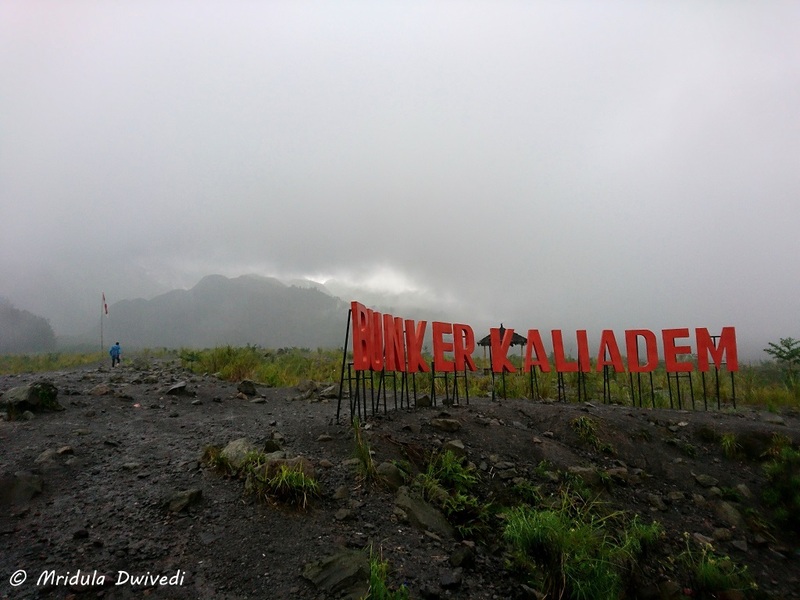 Our next stop was at Bunker Kaliadem. 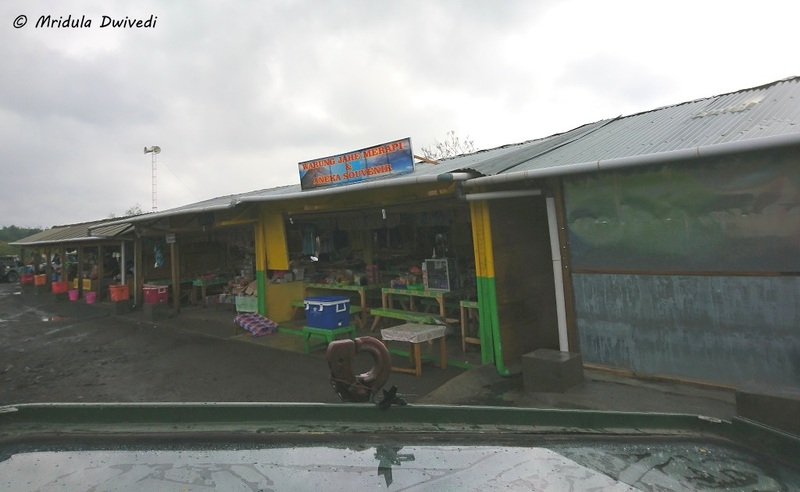 Apparently one a clear day you can view Mount Merapi from here. Not for me, there was a thick mist covering the area, I did not get a glimpse of the mountain. Mount Merapi is Supposed to be Out There! The bunker is out of use now. It is said that even when people took shelter here, the bunker got obstructed by the debris of the mountain. It resulted in the death of two people hiding inside. After walking around for a while in the rain, I took shelter in one of the shops near the bunker. My Indonesian hosts offered me Ginger Tea (black) and I loved it. It felt nice to sip on the hot drink on the rainy day. I talked about the Indonesian Rupiah and how it confused me to no end. I am not used to prices in lakhs for daily goods, but that is how the Rupiah works! Off Roading at Kali Kuning: Can You Spot the Jeep? After tea, we headed to the last part of our trip, it was the most fun too! Our group went off roading in the Kali Kuning River! My jeep driver stopped the jeep in mid stream and went to help another jeep which was stranded. 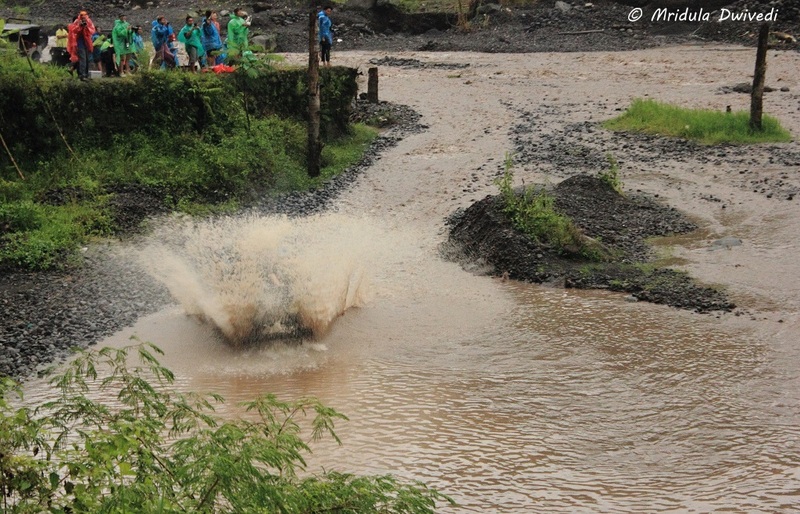 And that made it free for all, everyone drove through with high speed splashing us thoroughly! With this the day was coming to an end. The rain had almost stopped. We were hearing back to the hotel in Yogyakrta which was about 28 Kilometers away. I was wet and it felt like a long drive back in the bus! However, once I was in dry clothes in my room at the Greenhost Hotel all was fine with the world again! I wish I had seen Mount Merapi but that gives me a reason to go back to a place!